Shopping online for both Black Friday and Cyber Monday deals is how I’ve chosen to do my Holiday Shopping the last few years. Waiting in long lines, dealing with the crowds (and sometimes not so nice people), plus waking up super early – or these days, interrupting family time on Thanksgiving, just doesn’t work for me. Cyber Monday Deals are my favorite and I’ve gotten pretty good at them over the last few years. I could not believe some of these percentages when we were looking at the program. If you’re worried that there might be inflated prices that go along with this – there aren’t. If you’re worried that you’ll just forget to use this program – you won’t because they have a toolbar you can install (upper right corner under DubLi Tools), so you won’t miss out and don’t have to go through their website every time. Here’s a video you can watch which explains DubLi really well. And keep reading…because we are giving away 4 VIP Memberships, valued at $99. The other day I wanted to order two really cool mugs that were a steal of a deal for stocking stuffers for two of my kids. The mugs cost a little over $5 a piece, with shipping charges of $5.95 each! Woah. Needless to say I didn’t order those mugs. There are several ways to not pay any shipping prices on Black Friday and Cyber Monday. Companies like Amazon offer free 2-day shipping on thousands of items, with a Prime Membership. Companies such as Target.com are offering Free Standard Shipping for the Holidays, with same day store pickup as well. Walmart.com is offering free shipping with orders of $50 or more, plus free site to store delivery. You can also check FreeShipping.org for free shipping codes. I’ve become addicted to coupon codes and always search for them before I shop online or even in-store. A site like RetailMeNot.com compiles these codes for you and will also alert you of new ones. You can also Google the name of ‘the product + coupon code’ to find other ones, but honestly RetailMeNot seems to stay on top of it the best. I have found some amazing codes and saved up to 25% off and sometimes even free shipping. If you’re a Google Chrome user, try the Honey extension which helps you find deals. Just taking this one extra step can save you a lot of money and I believe is really worth the extra effort. Keeping an eye out on your favorites brand’s Facebook page for coupons is an easy way to save a buck or two. Often times companies post special coupons or make announcements, just for Liking them on Facebook. I have used a few of these in the past and was glad I did. This is another way to sometimes save quite a bit of money, as well as be alerted on Black Friday and Cyber Monday deals. Some companies offer a coupon, like Kohl’s, just for signing up for their email list. Is there a store you really want to shop at this Holiday Season? Head on over to their website, look for their email sign up and see what you get! If you’re worried about overloading your inbox, create another account just for these kinds of emails. That’s something I didn’t do that I look back on now and wish I had! Do you have a favorite way to save money on your online Black Friday and Cyber Monday shopping? Where do you go to find Cyber Monday deals? 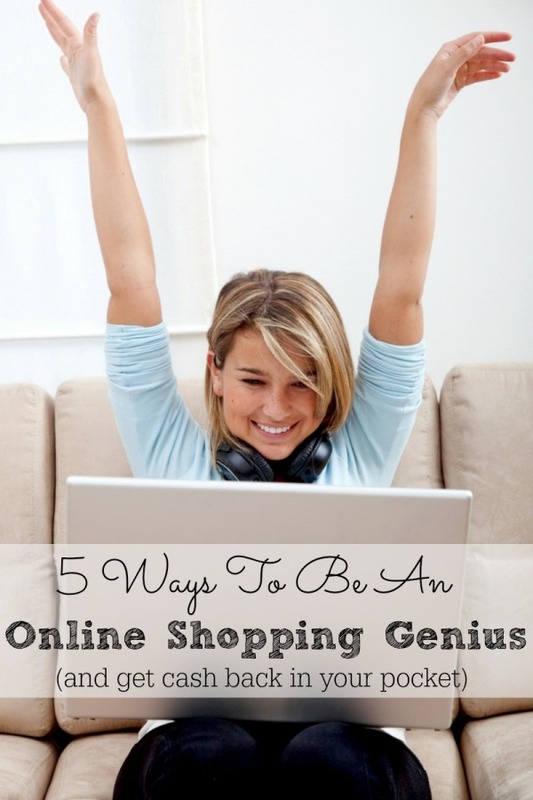 Share your online shopping secrets with me! I mentioned a giveaway right? 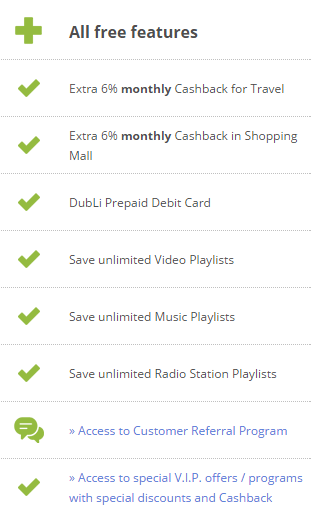 We are giving away 4 DubLi $99 annual VIP Memberships. Please note that you do have to pay .99 when you sign up. Here’s what you get with your membership. Enter via the form below and good luck! Next articleBlack Friday Shoe Sales at Rack Room Shoes, Plus an Amazing Holiday Getaway Sweepstakes!